To begin something new is always amazing and delightful. Do you feel the same about the commencement of a new academic year? Now that all your exams are over and results are out, it is time for a fresh new start to a completely new class. You must be having newer ideas, bigger resolutions, and even stronger commitments for the academic year ahead. 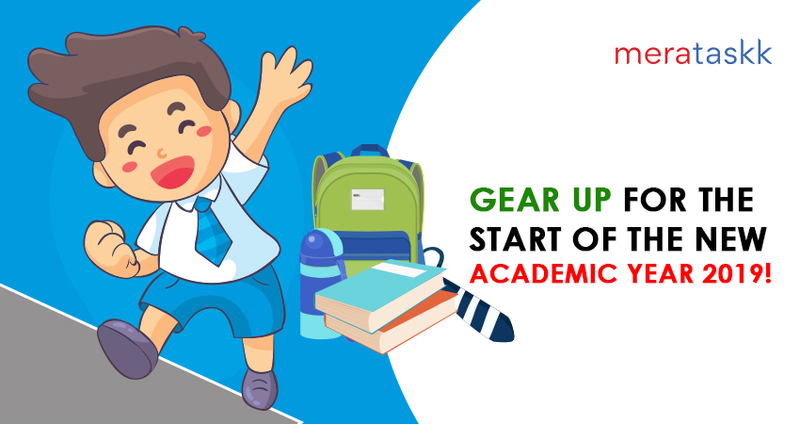 Your child’s new academic year begins with buying new books and stationery for the new session, shopping for new school bag, tiffin and water bottle, wrapping the notebooks in brown covers and so on. The crisp notebooks are a reminder of an empty canvas to re-shape your child’s academic success. Quoting Aristotle – “The roots of education are bitter, but the fruit is sweet.” Maybe he was referring to all the background work needed, all the planning, all the study, all the organisation. These all take a lot of time, but if properly done, the results, the learning, the rapport, are so rewarding to both students and parents. Are you prepared for all the shopping for your child’s new academic year? In the metropolitan cities such as Delhi-NCR, you are always in a rush. Work is always the priority and often consumes most of the time. But in any case, family needs can’t be neglected. But what if you want to spend more quality time with your child rather than just merely shopping outside. This is where Merataskk steps in to cater all your requirements and help you get better organized with your child’s new academic year! How can Merataskk help you? Accessories such as School Tie, Belt etc. Waiting for your parcel is a thing of past now. We promise to deliver your required material on the very same day anywhere across Delhi-NCR. For more queries, you can call at 9717999666 or logon to www.meratask.com. For even quick and fast results, you can also download our Merataskk mobile application and book your task!